“Every seven seconds a Baby Boomer turns 50. The need for technologies to help these individuals age in place, on their terms, is tremendous,” remarked Helen Higgins, Business Development Manager of Hewlett Packard. Higgins added, “Improvements in technology for the aging could not only improve their quality of care and life, but also reduce our nation’s ever-growing healthcare costs.” Has your agency considered how it would personally benefit from using cutting-edge technology, such as ClearCare’s homecare system and homecare software? One of the biggest reasons home care agencies fail is due to lack of communication. A business simply cannot thrive – or even survive – without consistent communication. Homecare software significantly improves this aspect of your business. ClearCare’s innovative homecare system and homecare software have been designed to enhance communication between agency administrators and caregivers, making business run more smoothly and providing better patient care. 1. Track schedules and offer available work. A homecare system, like ClearCare, has all the functions and features you will need to manage your caregiver pool. You can schedule any client in seconds, or message caregivers to offer available shifts. Not only will ClearCare keep a record of your sent messages, it documents all of your caregiver replies as well. This is especially helpful if a caregiver has complained that she isn’t being scheduled for enough work; your records may show that she’s been turning shifts down. 2. Problem-solve more efficiently. Included with your ClearCare homecare software is a “live-view” interface that allows you to identify where each of your caregivers are. If you notice a caregiver has not yet clocked into her shift, you can message her instantly to find out why. Since all communications are documented for future reference, you will have a record of which caregivers may need additional training or attention. 3. 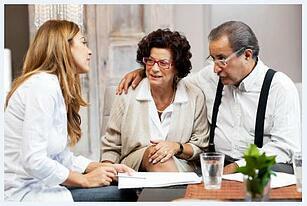 Keep critical caregiver information up-to-date. Storing important contact details is easier than ever with a web-based homecare system such as ClearCare. This allows you the opportunity to message caregivers on your Smartphone while you’re away from the office. With accurate contact information you can easily let caregivers know when shifts are available, getting work done even while you’re on the move. Administrators and caregivers will also receive alerts when critical certifications or licenses are due to expire, ensuring such details are never left up to chance. Many companies fail to understand the importance of communication between employer and employee – which typically leads to failure. Use a reliable home care system to schedule regular staff meetings and remind you of what information you want to cover so that the entire organization is on the same page. Communicating with your caregivers is just one aspect of growing a successful business. To edge out the competition, you must communicate with the public as well. For information on how ClearCare’s homecare software could help you advertise your services and close more business, call one of our friendly representatives today.